THOR-7500-XA - Synthesiser - RFMW UK, Ltd. 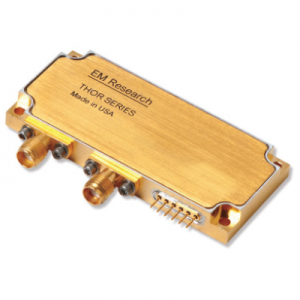 The THOR-7500-XA is a 6 to 7.5 GHz frequency synthesizer designed for an Airborne RF Jammer that operates under extreme vibration and shock conditions. 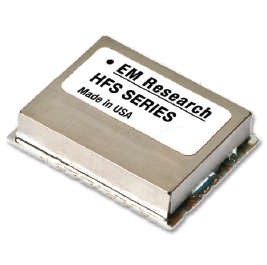 The design also features low phase noise (<-95 dHc/Hz @ 100 KHz) and fast switching capability (<300 µSec. 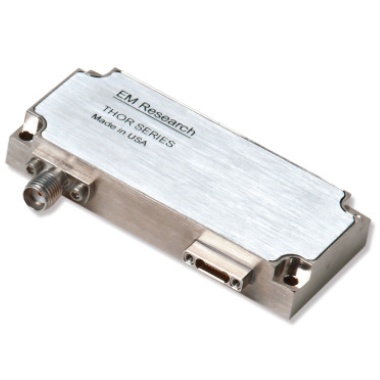 Band-Edge to Band-Edge) critical for signals intelligence applications. 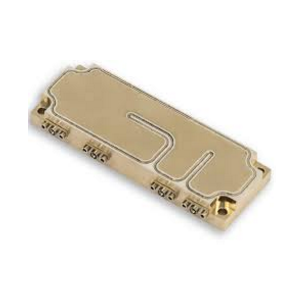 It also locks to a +/-5 ppm stability and contains a channel step size of 500 KHz, +15 dBm output power, -60 dBc spurs and -25 dBc harmonics, all housed within a small surface-mount package (2.5” x 1.1” x 0.4”). 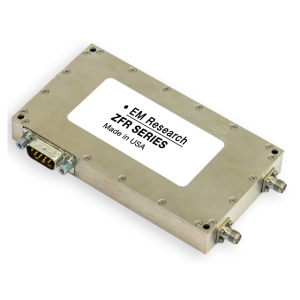 This high performance design operates across temperatures from -40° C to +85° C with extended temperatures available. The THOR-7500-XA adds a new performance-focused, uniquely designed architecture to the company’s trusted THOR Series product line. 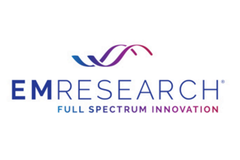 With excellent resolution and ultra-fast switching for applications with agile tuning requirements, the THOR-7500-XA highlights another example of EM Research’s ability to deliver advanced products for customers’ most demanding requirements.